Jakarta! The city with the most skyscrapers in Indonesia, and the capital of the largest economy in the region. Yep, the city is often only seen as a commercial destination. Ask the foreigners why they come to Jakarta, they will say ‘business meeting’. Ask your Jakartan friends how they spend weekends, the answer would be shopping (either the actual or the ‘window’ one) in the mall or escaping to neighboring cities. 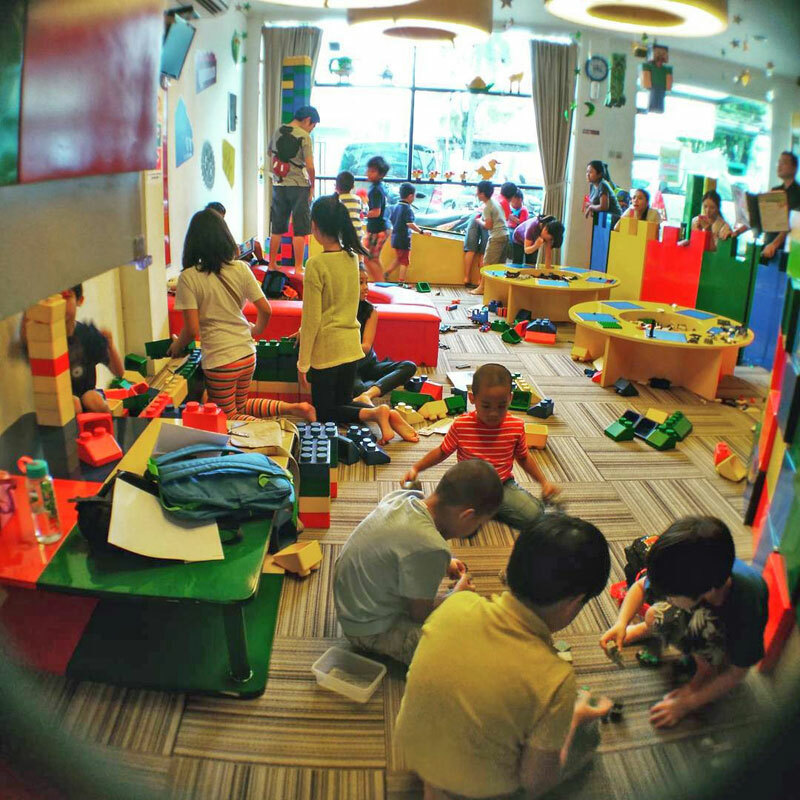 Here are 14 places you can check out in this busy city with the kids – and they won’t be bored, guaranteed! Ps: Don’t show this article to your kids if you just want to stay at home for the weekend or for your next holiday. 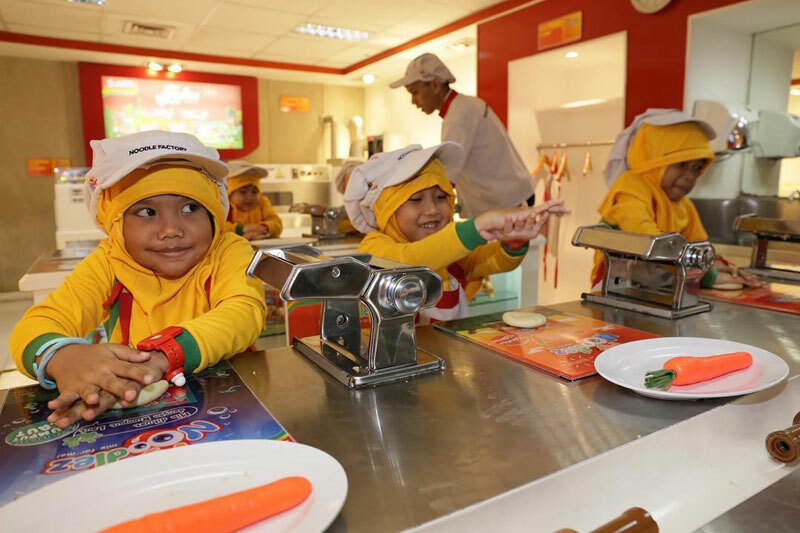 Kidzania Jakarta is specially designed and built to resemble a real city, but in a mini-scale for children. It’s complete with highways, urban facilities such as hospitals, supermarkets, salons, theater, factories and many more. 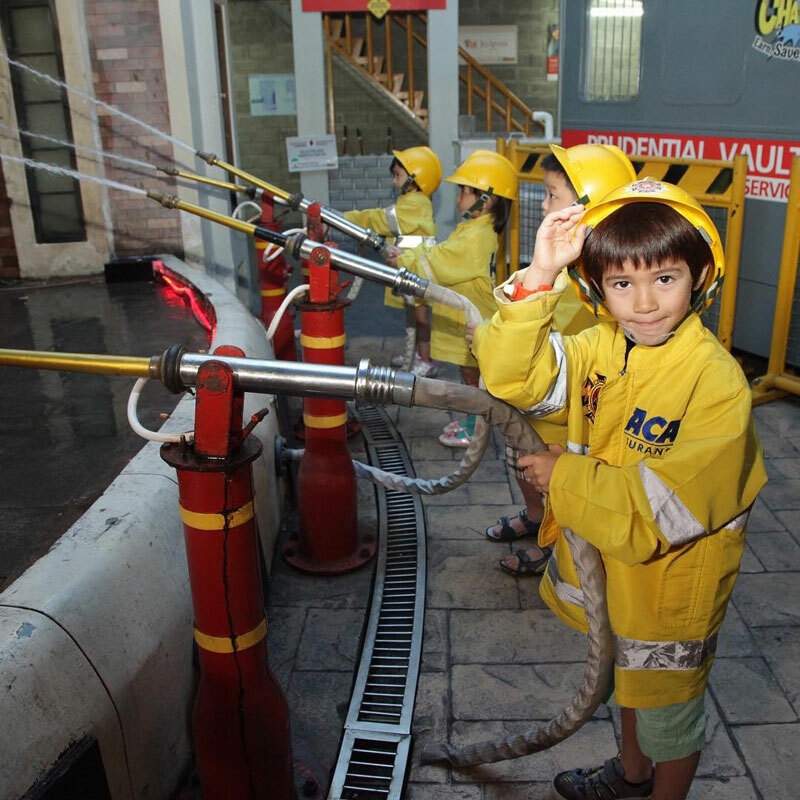 In this city, children can role play a profession, such as being a doctor, a pilot, a banker, an actor, a singer, a police, a cook, a scientist, an archeologist, a firefighter, and many more. It has more than 60 professions available for your kids to play as. Also, kids are not only introduced to all these various professions, but are given ample opportunity to experience them, so that they can better understand the nuances of one that they may be passionate about. So as a parent, it’s like you’re looking at a crystal ball and seeing what they may become in the future. Kids love slides, regardless of whether it’s in the pool, in the park, or… in the mall! 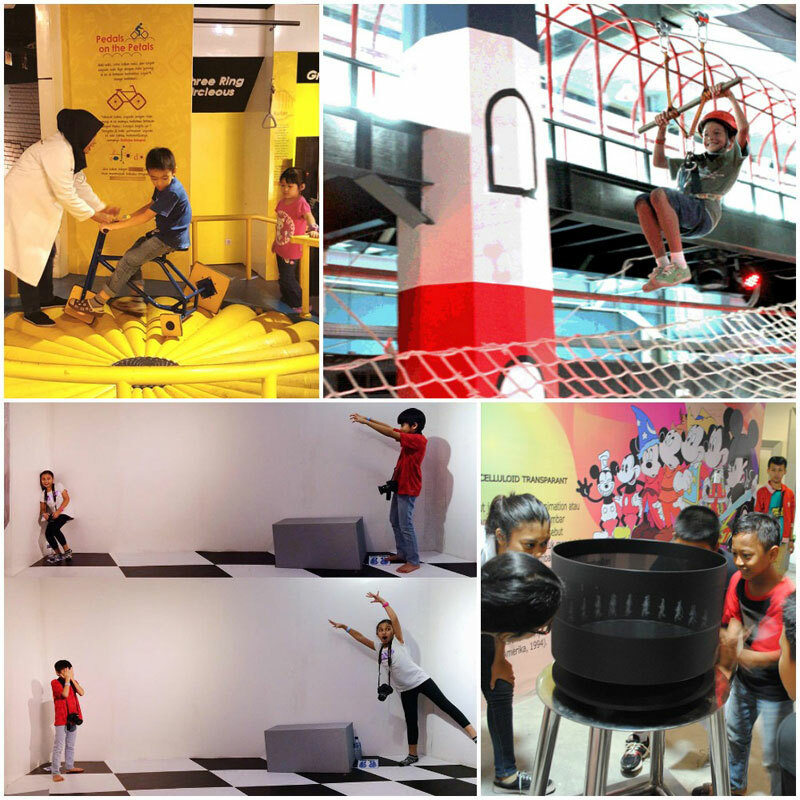 Jakarta is full of malls, but not every mall has this fun activity called ‘Atmostfear’ (also known as ‘Atmosfear’, without the letter ‘t’). It’s basically a slide, and a VERY FAST one. 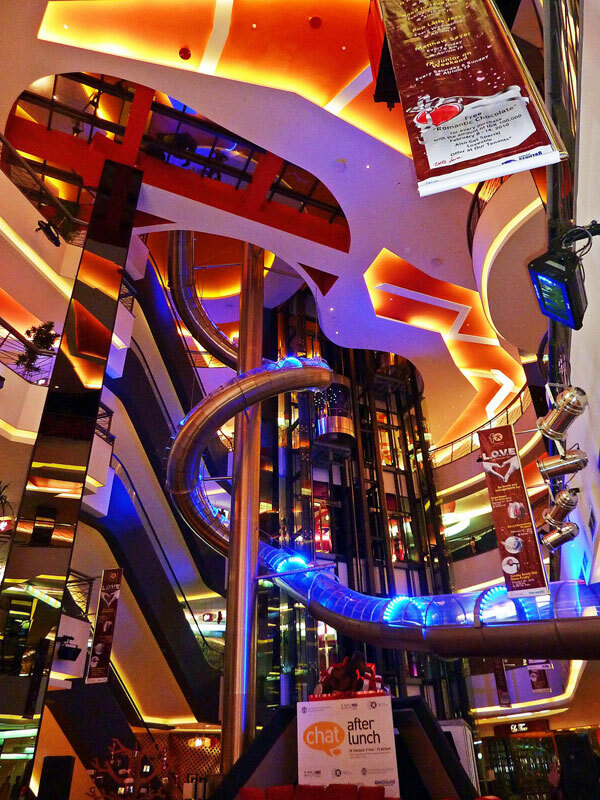 Located in the fX Sudirman Mall mall, the slide twists down from the 7th floor. This indoor slide is the first of its kind in Asia. Good news – it’s quite long, with a length of 40+ meters. Bad news – it takes only 7 seconds to get to the end! Our suggestion – maintain your image as the unwavering parent even if your palms are sweating, and at the end of the ride, just keep smiling and ignore your shaking feet. Remember, kids need a role model. This ride can either be fun or scary, depending on your thrill-seeking genes. However, don’t worry about safety as you will be sliding in an enclosed tunnel. And you can have lots of fun too, as the top of the tunnel is made from transparent glass. It means you can see the world moving so fast! fX Sudirman Mall is also the home of JKT48 Theater, which is the sister group of a Japanese idol group AKB48. The performance is similar to a modern cabaret performed in a very organized way by the teenage girls. 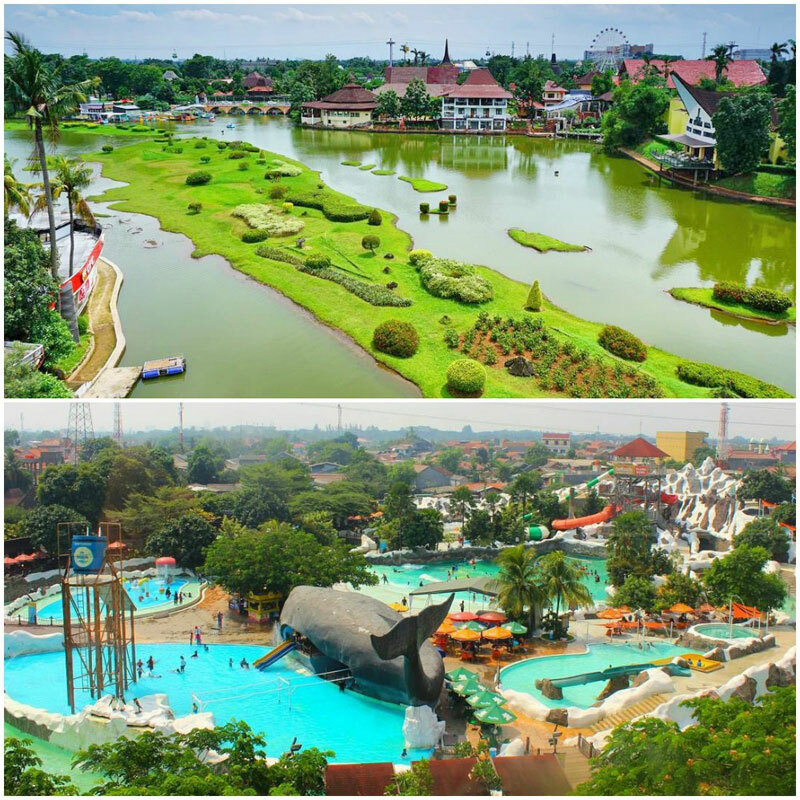 Waterbom is popular as a family entertainment destination in Indonesia. Not just in Bali, but in Jakarta as well. 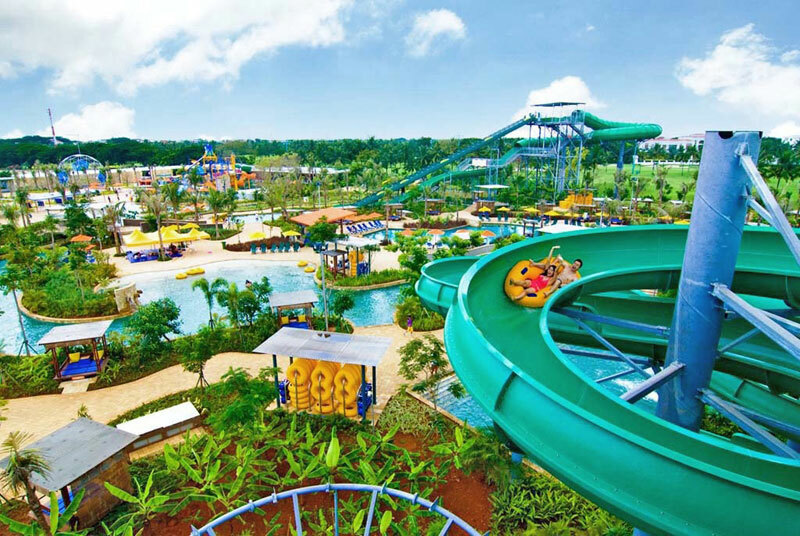 The 3.8-hectare Waterbom Jakarta is set in lush tropical gardens and beautiful parks, geared with amazing rides and slides, such as ‘Speed Slide’ which can hit 70 km/h speed, or ‘Twizter’ which has a curling route and you’ll end splashing into the pool. Sounds fun? It brands itself as ‘The Urban Cool’ (while the one in Bali is ‘The Tropical Cool’), which is absolutely true considering its proximity to the city center. 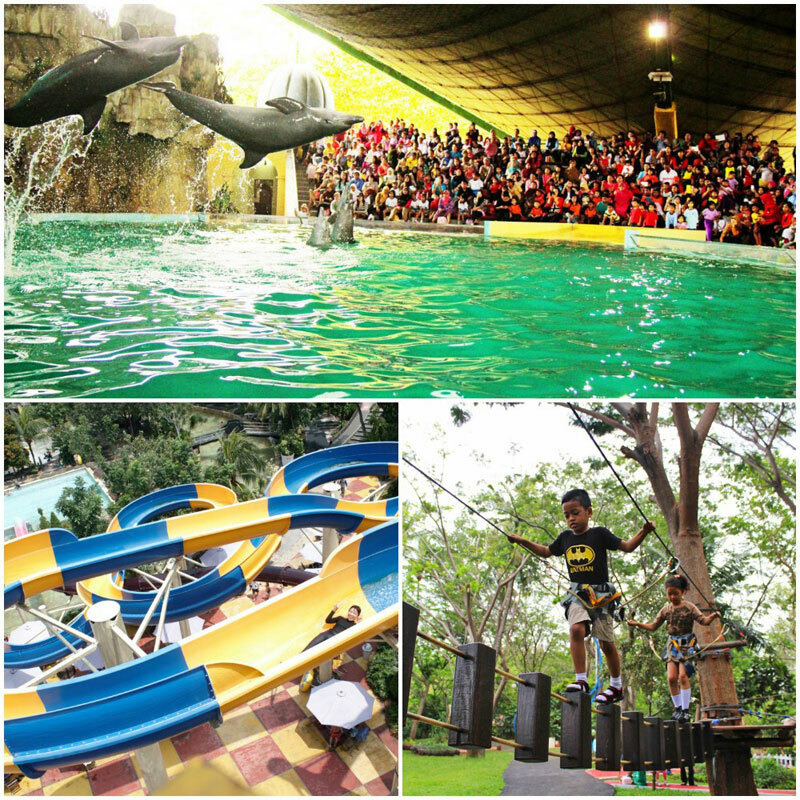 A busy and hot Jakarta can easily transform into a fun and splashy Jakarta at the Waterbom. 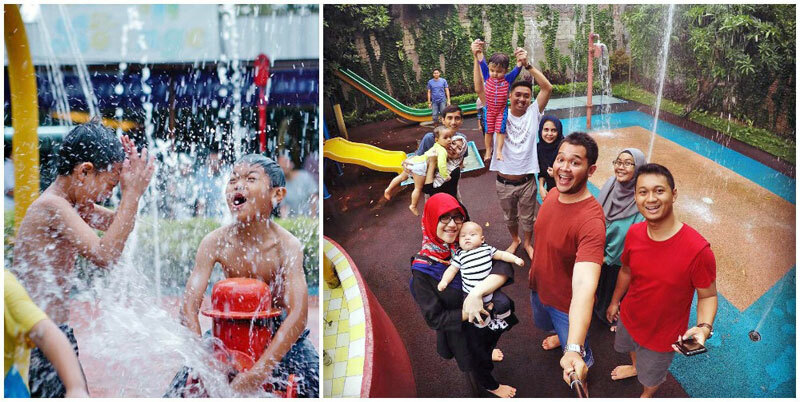 In addition, the neighbourhood where Waterbom is situated (Pantai Indah Kapuk in North Jakarta) is also well known for its numerous restaurants and cafés, in which your family relax in after having fun at the waterpark. This destination is probably lesser known compared to others in this list. 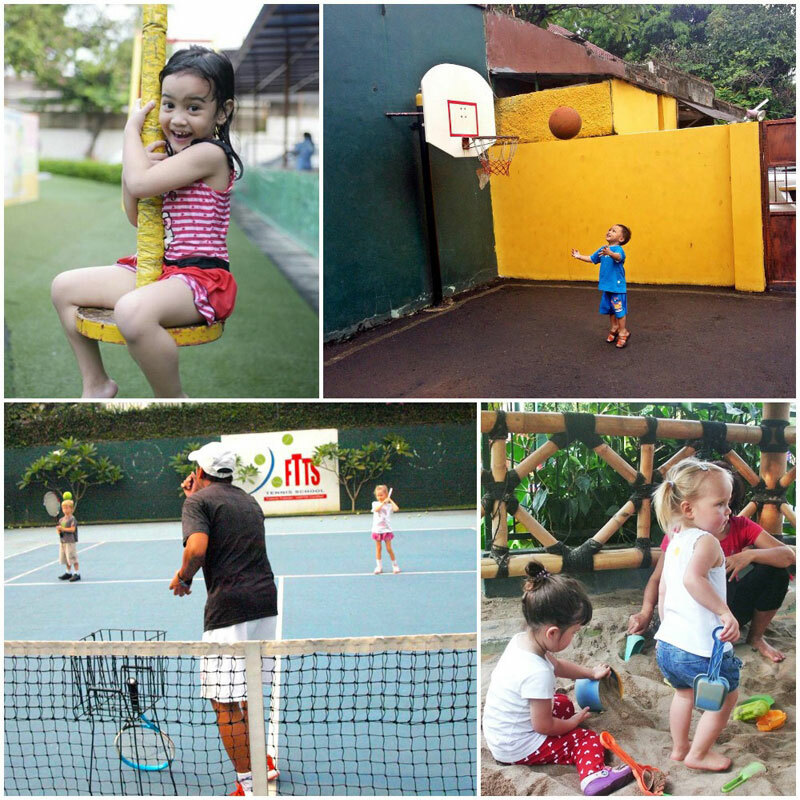 But it actually provides many activities that your kids can take part in, such as physical activities, art, culture, science, technology, environment, and the list goes on! 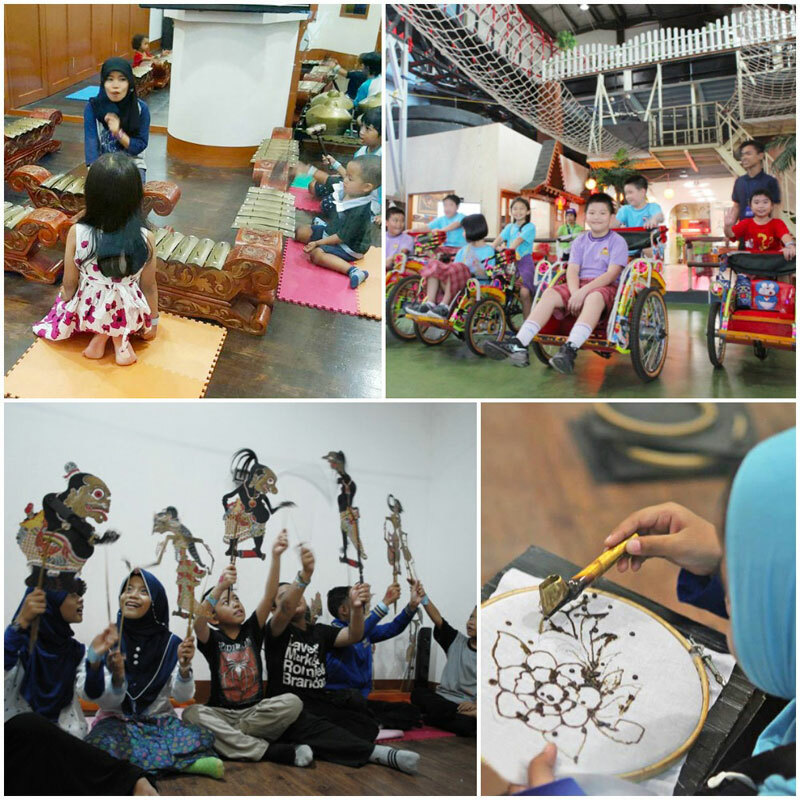 Your kids can appreciate the elegance of Indonesian culture and art here, where you can learn to play the traditional musical instrument, classical dance, to drive a pedicab, to puppeteer, to paint that famous Javanese motif called ‘batik’, to have a recording session (if they dream to be the next Justin Bieber Timberlake), and many more. The name ‘Pinisi’ comes from the traditional Indonesian boat used by fishermen in South Sulawesi. The park has a replica, and you can even get onto the deck! The complex consists of three levels, and each level provides both education and entertainment – yep, that’s edutainment for you. Do you love cats? Or cute furry creatures in general? 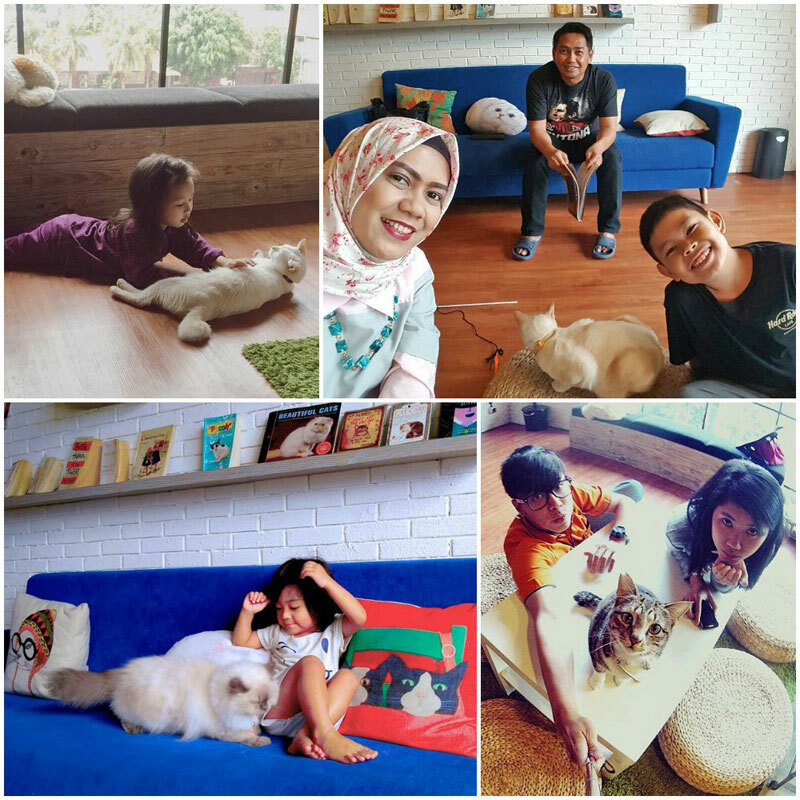 If you do, you mustn’t miss the first furry café in Indonesia – The Cat Cabin. You and your kids can cuddle with your newfound friends all day long! The café is clean and hygienic, and so are the cats as they have been vaccinated and are bathed regularly – so you don’t have to worry. 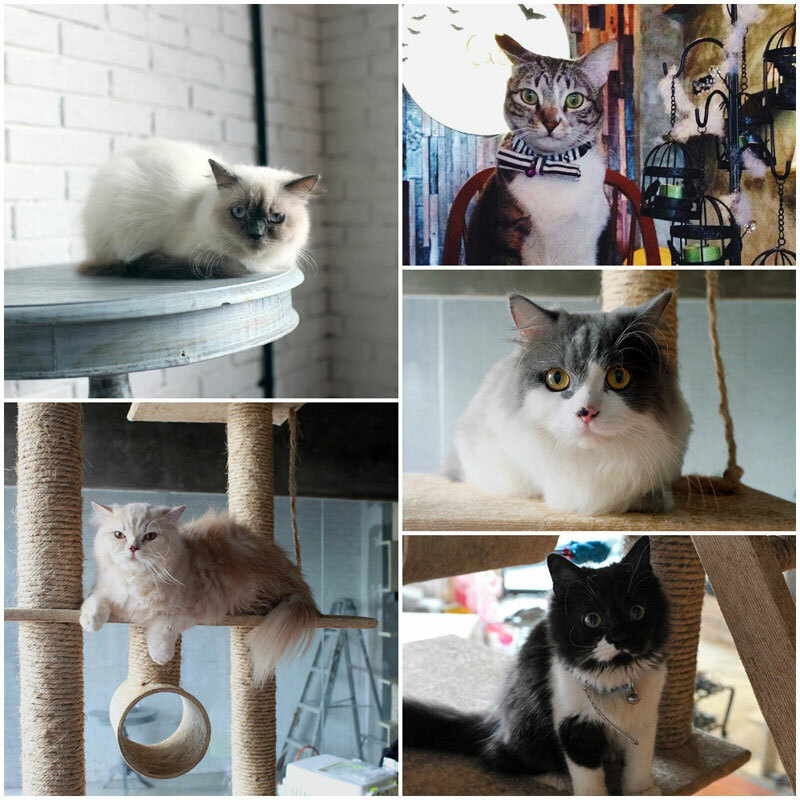 You can interact with different breeds of cats at the cafe too! Some of the cats are very spoilt, while others may appear to be tougher. But once you win them over, they can be the super-friendliest fellow ever! The Cat Cabin is essentially still a café, so you can order a ‘cup’ of drink or a ‘plate’ of food (though technically speaking, we’re supposed to use ‘bowl’ instead to respect the hosts there). 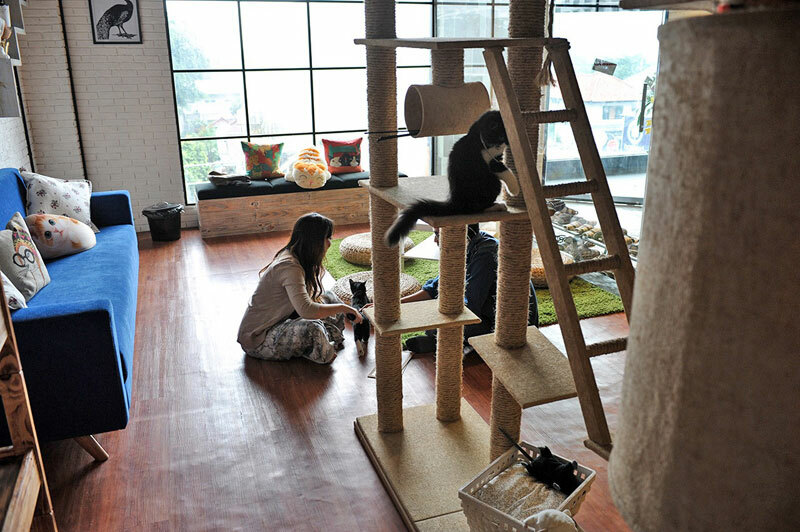 One trivia question: Do you know where cat cafés originated from? Taiwan was the first country to introduce this concept, though Japan was the one that made it popular worldwide. Opening hour: 10.00 – 21.00 (Tue – Thu), 10.00 – 22.00 (Fri – Sun), Mon closed. 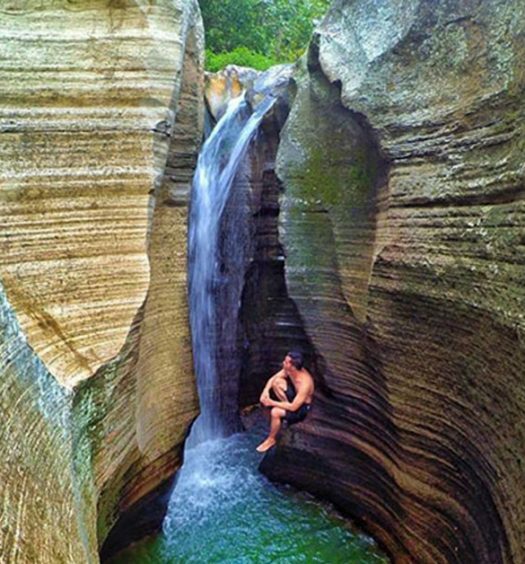 Every Indonesian knows that this place must make it to the list. The old-but-gold Taman Mini Indonesia Indah, or popularly shortened as ‘Taman Mini’, literally means ‘Miniature Park of Beautiful Indonesia’, and it is so! The 150-hectare park is seriously huge. It consists of so many things that two paragraphs is insufficient to mention them all! The whole place is made up of the pavilions of all provinces in Indonesia including their traditional houses (don’t miss the lake in this pavilion, as it represents the archipelago of Indonesia! ), more than 15 museums, more than 10 parks, theatres and amusement rides. Your family will be spoilt for choice. 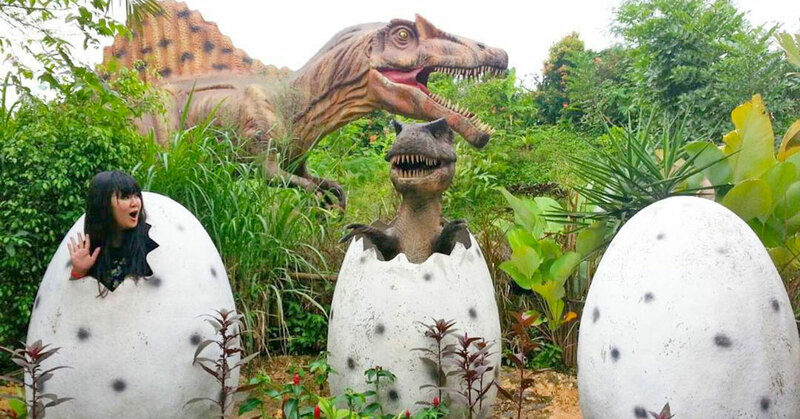 One of the most happening parks here is ‘Taman Legenda’, which is a sort of dinosaur park (think Jurassic Park!). 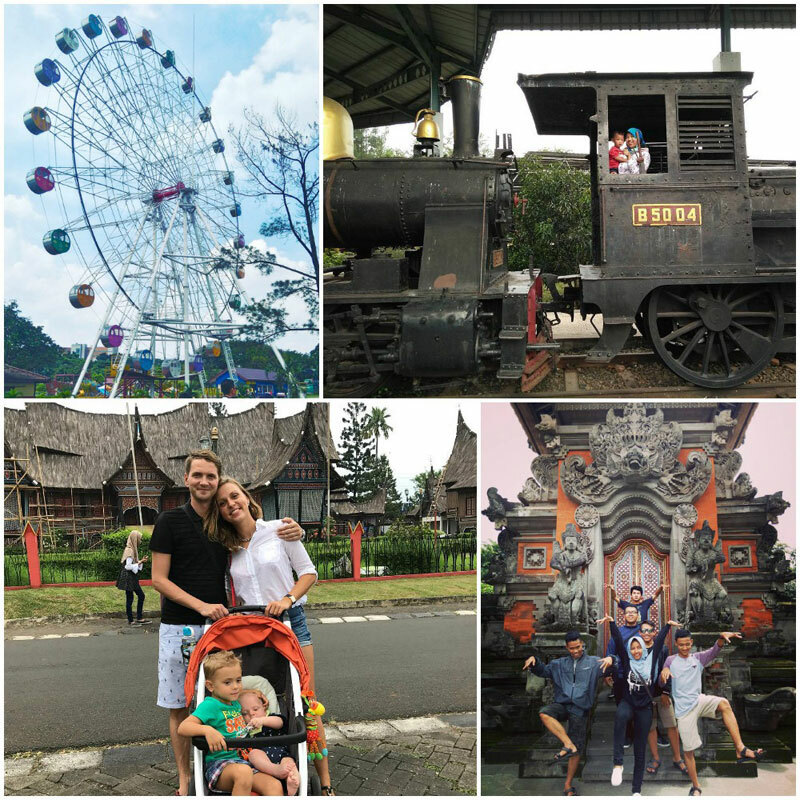 Other iconic attractions are the ‘Keong Mas’ theater (literally means ‘Golden Snail’ and the building even looks like one), the 4D Theater, the Castle of Indonesian Children, and many more. Entrance Fee: IDR 10,000 (USD 1). Please note that this is only the entrance fee, and you have to buy separated tickets for vehicle and each attraction. Do you miss flying kite? Sadly, modern kids may miss this wonderful activity more, as they have limited privilege to fly or even just to see it. This museum answers that concern. 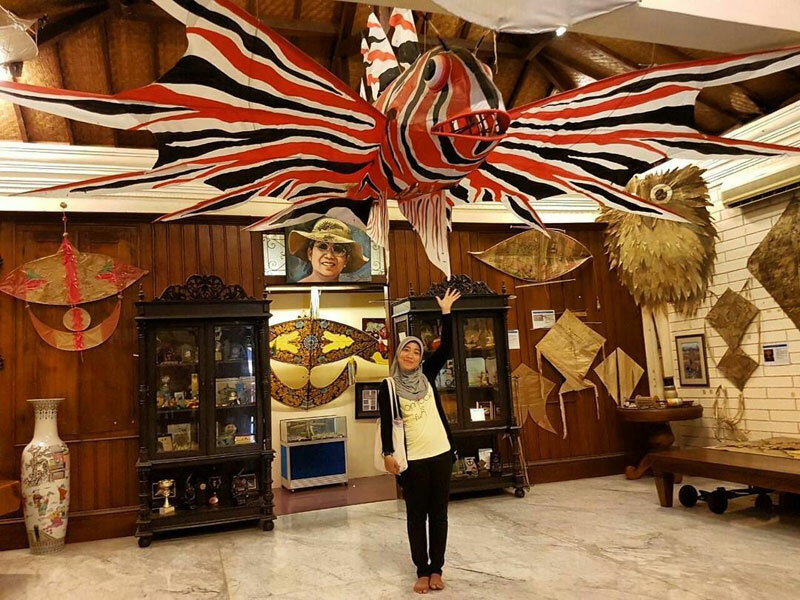 Museum Layang-Layang (which means ‘Kite Museum’ in English) was inspired from its founder’s personal collections. As her collection grew, she thought it would be better to build a gallery, which subsequently became a museum. The museum adopts Javanese architecture, which can be seen clearly from its logo and main house. It creates an ethnic atmosphere throughout the complex. 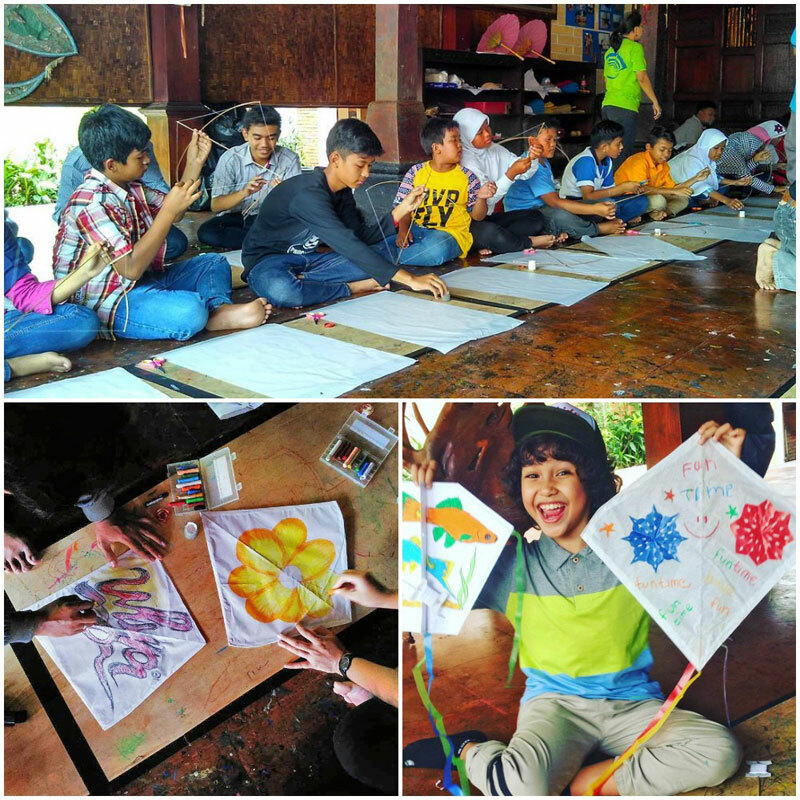 There are also classes for both you and your kids, from kite-making tutorials to Javanese batik-painting. 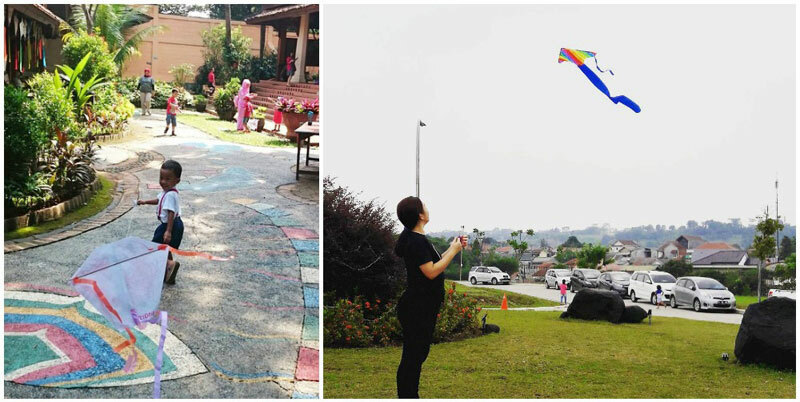 Simply put, Museum Layang-Layang is not merely a place where you can see kites, but where you can draw and make one as well! 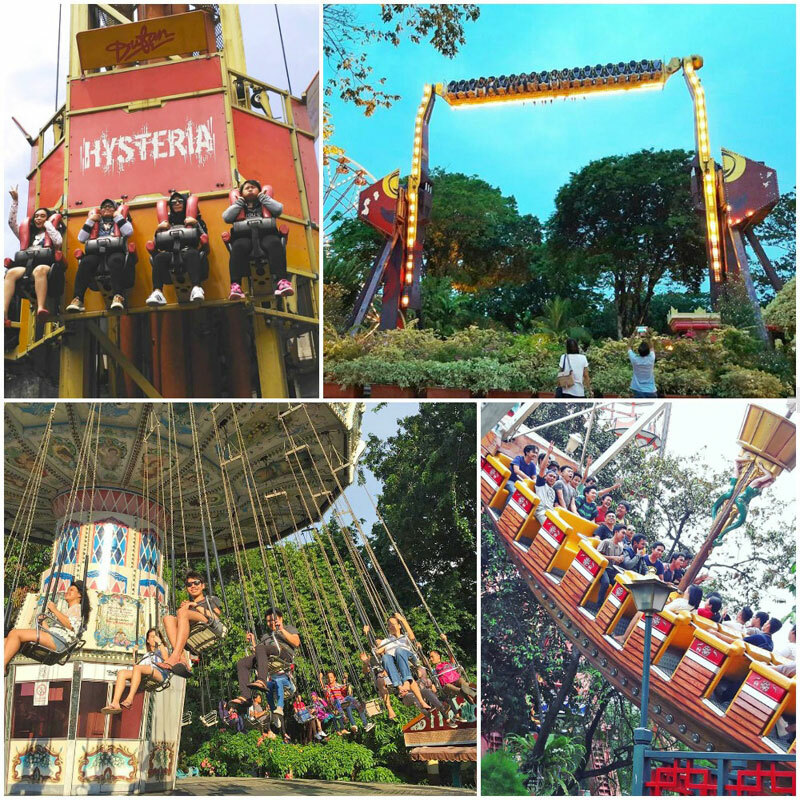 This is probably the most well-known attraction in Jakarta when it comes to where kids can have fun. Dunia Fantasi (shortened as: ‘DuFan’) is likely one of the first places you would think of, apart from Taman Mini Indonesia Indah. 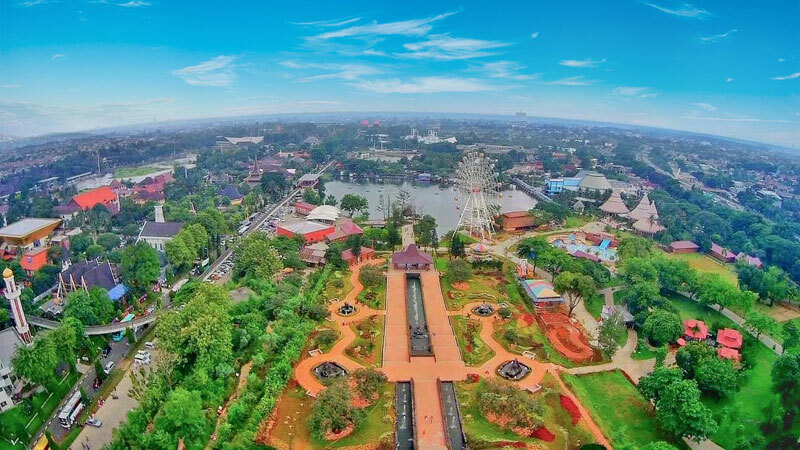 DuFan is a theme park located in North Jakarta. Its literal meaning is ‘Fantasy World’. There are more than 30 activities here, ranging from thrilling rides (such as ‘Tornado’ or ‘Hysteria’) to family-friendly rides. If you have a daughter who really loves cute stuff, go with her on the ‘Hello Kitty Adventure’, and you can be sure she’ll call you as “the best parent”! Don’t forget the exhilarating water rides too! Check out this ‘Arung Jeram’ ride or the ‘Ice Age Arctic Adventure’. 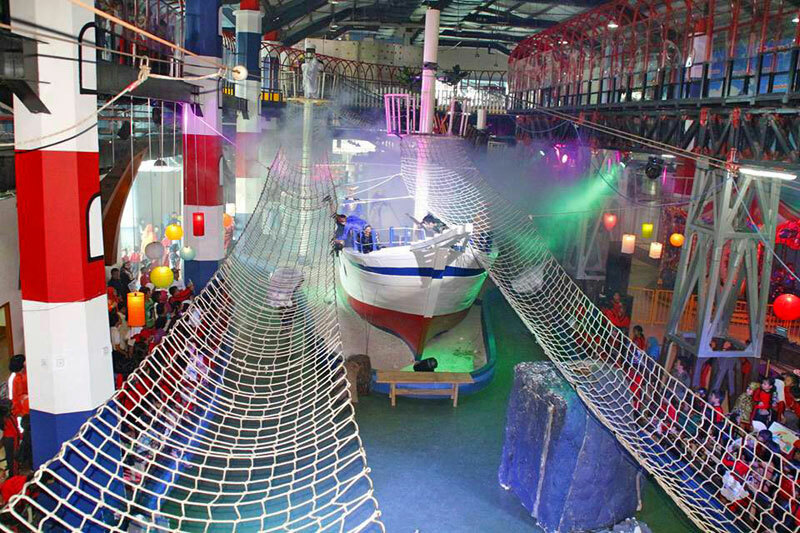 There are 8 areas and 1 special indoor area that you and your family can explore for the whole day. And if you think one day is not enough to explore them all, you can always choose to buy the annual pass, with a price that’s close to that of a weekend ticket! Nice bargain, isn’t it? DuFan is part of a huge 552-hectare resort, Ancol Dreamland, the largest integrated tourism area in Southeast Asia. 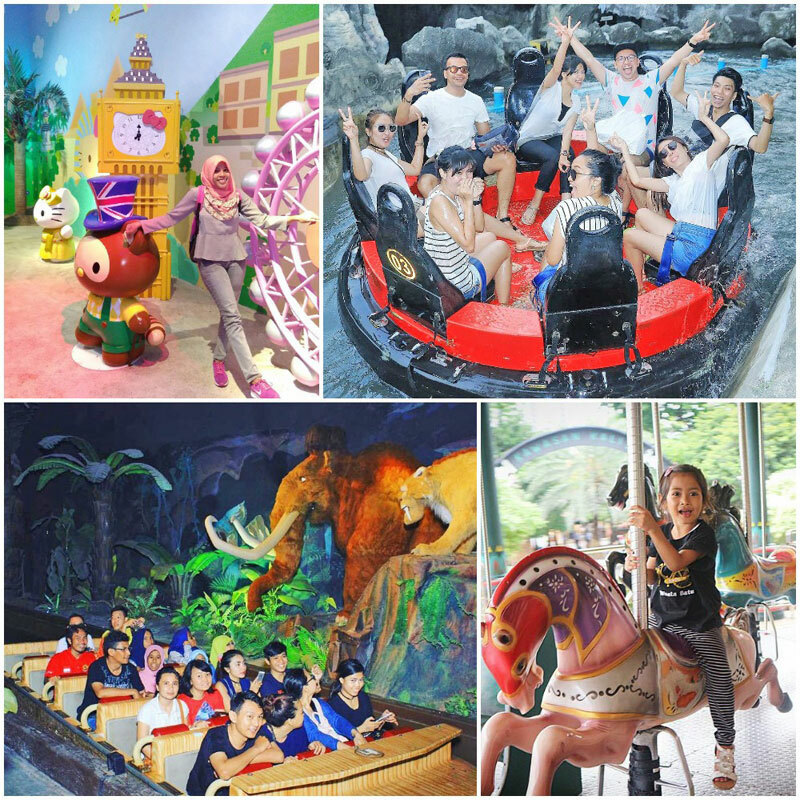 Once you are done with the theme park, you can explore the nearby attractions as well, such as the Atlantis Water Adventure (a waterpark), Ocean Dream Samudra (marine animal show), SeaWorld, beaches, eco-park, and many more! Getting there: Google Maps can easily show you the route by inputting ‘Dunia Fantasi’ or ‘DuFan’; If you’re taking public transport, you can take TransJakarta from Corridor 1 and 5, and stop at the Ancol bus-stop. This is where science and fun meet. And it’s not just a science, but astronomy! Would you let your kids become fans of Star Trek? (Please don’t answer ‘no’ only because you’re a Star Wars fanboy). 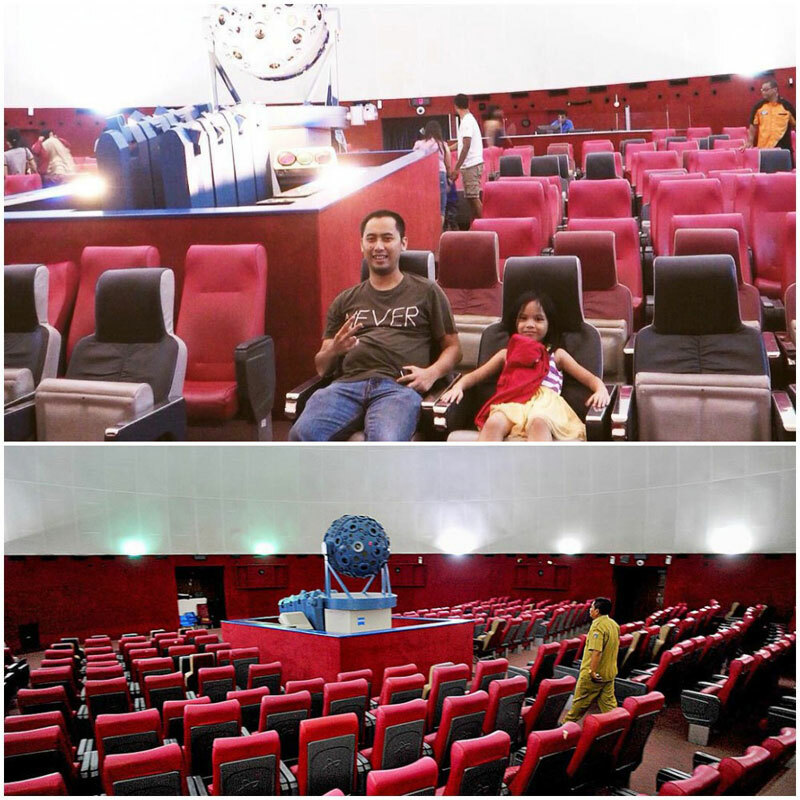 The planetarium is surely the highlight of this complex, and it’s the oldest among three in Indonesia. You and your kids would enjoy watching the stars and learn about the constellations in a dark dome. You may feel a bit strange after the show, as you realize that it’s still daytime! 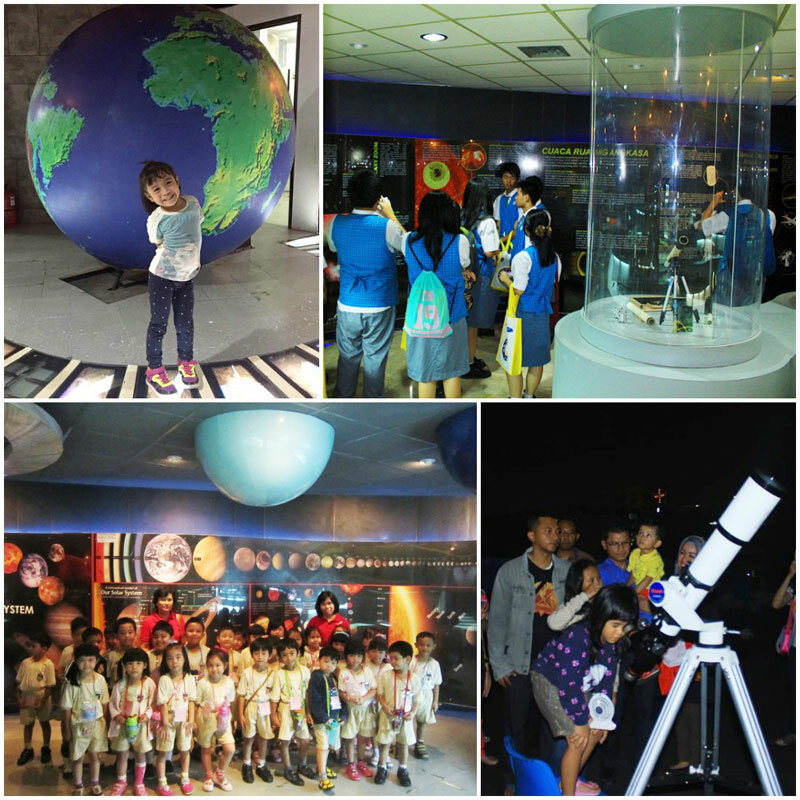 Named after the Indonesian national composer, Taman Ismail Marzuki is famous for 2 things: the planetarium and its artsy stuff! 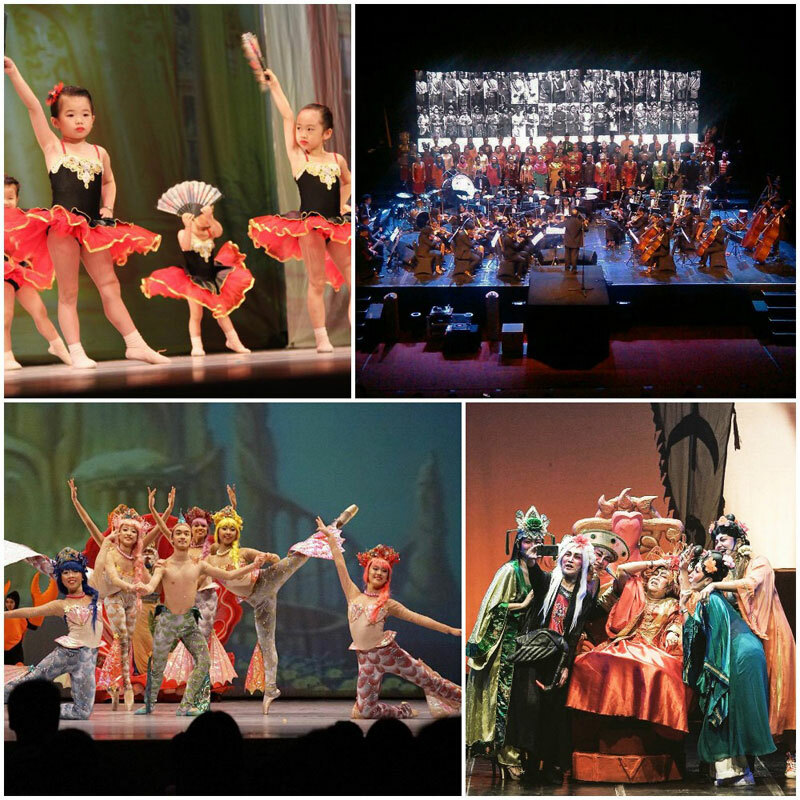 Pusat Kesenian Jakarta Taman Ismail Marzuki is one of the most prominent theaters in Indonesia, so do check its show schedule, to see if there’s any performances that your family may love to see (from music, ballet, oriental, contemporary art, and so on). There’s also a cinema showing the latest movies. 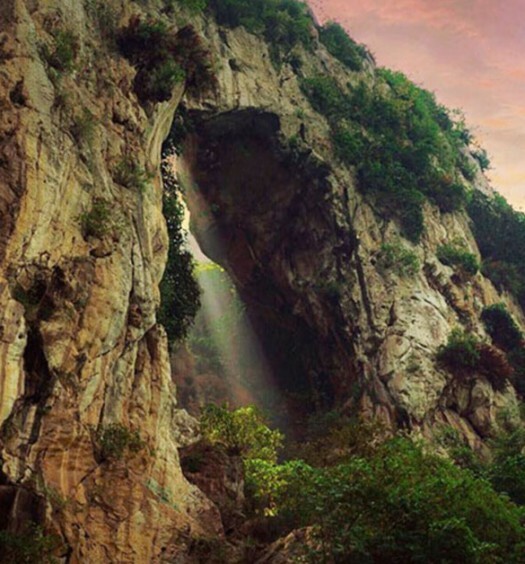 Simply said, this is a nice destination where you can spend the whole day with your family! 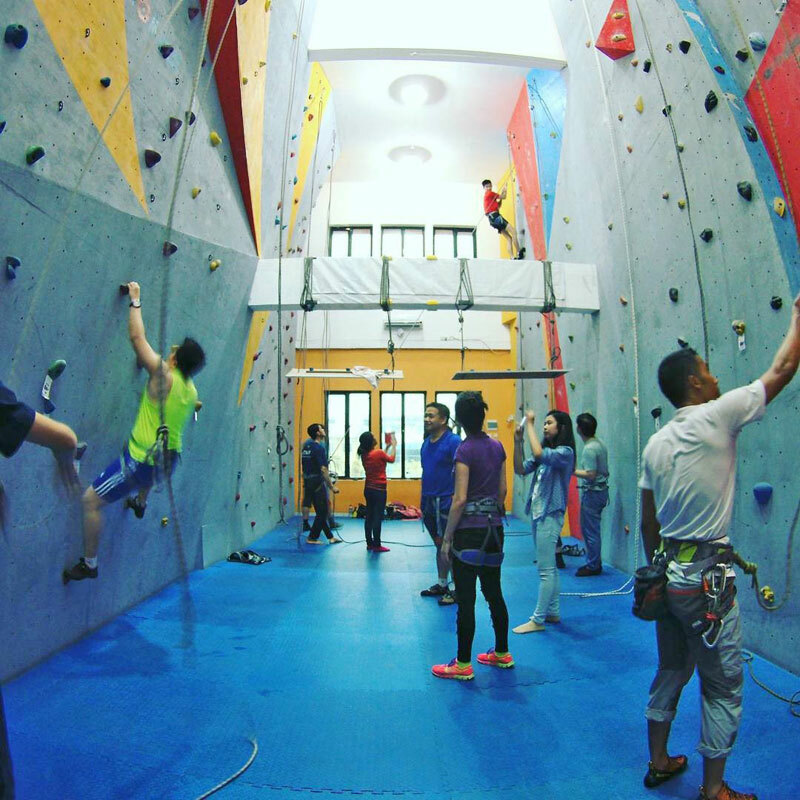 If you’re looking for a more physically demanding activity with your family, Peak To Peak Indoor Climbing is a good non-mainstream option. Don’t worry if you have no experience in this sport, as there will be staff assisting you and your kids. There’s also safety gear in place. If you’re serious about climbing, Peak To Peak offers courses as well. 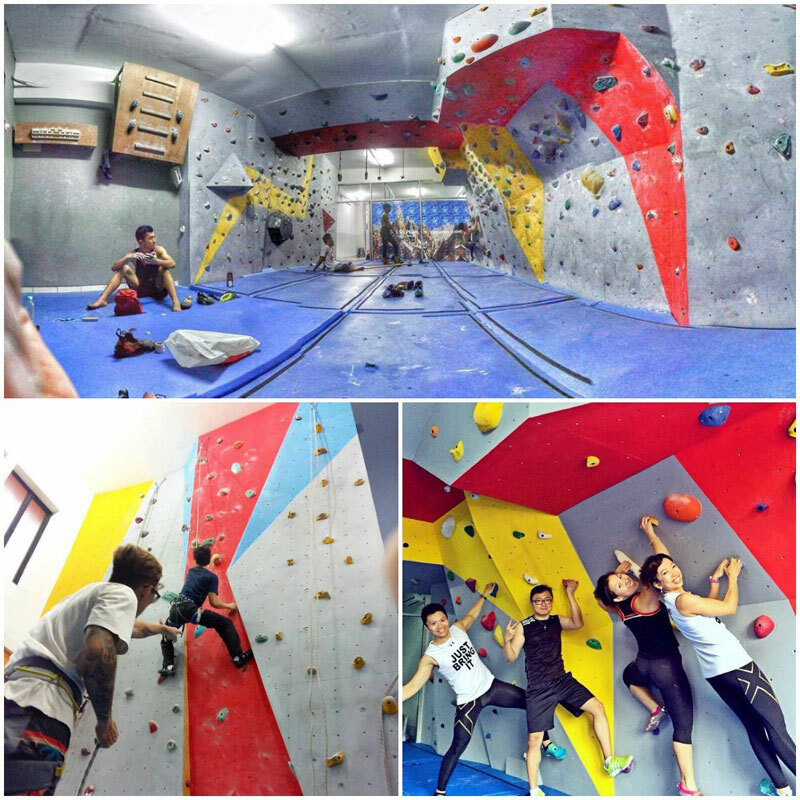 It uses the Singapore Mountaineering Federation (SMF) training standards for all its certification courses. The founder and the instructor himself is also an SMF-certified instructor. One interesting perk here is that you can climb for the whole day. The payment scheme is not hourly, but daily. If you or your kids love it, be prepared to spend the whole day here! 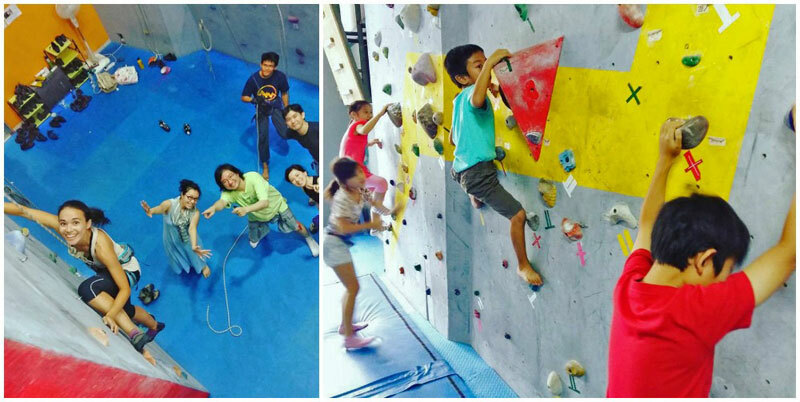 Kids always love new things, and there’s even a saying that kids are natural climbers! So the next time your kids ask, “Where are we going this weekend?”, you can say, “Let’s go climbing!” and see their eyes light up in excitement. Price: Starts from IDR 95,000 (USD 8) for entry level. Courses start from IDR 350,00 (USD 27). Membership and packages are also offered. Some say chocolate makes people happy. 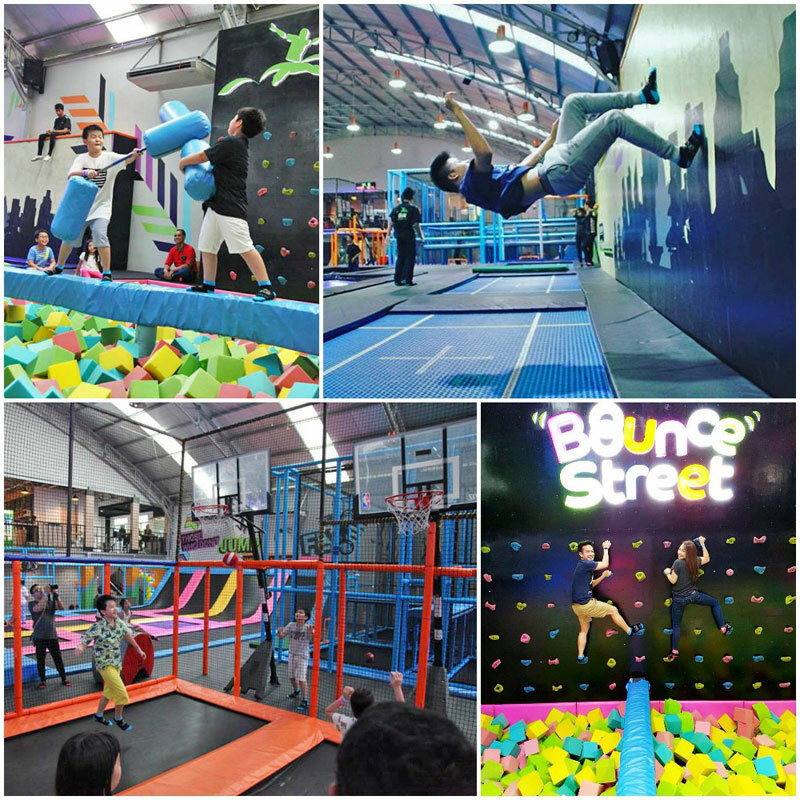 Bounce Street Asia is a state-of-the-art trampoline park that allows you to defy gravity on a thrilling aerial adventure. 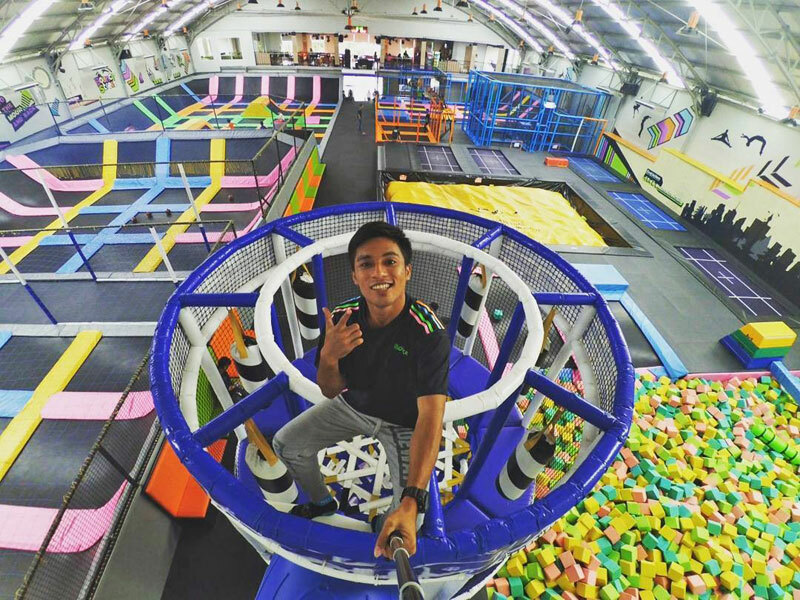 You can take part in various activities – running up a wall, bouncing for fun, slam dunking, playing dodgeball, or maneuvering your flight moves. 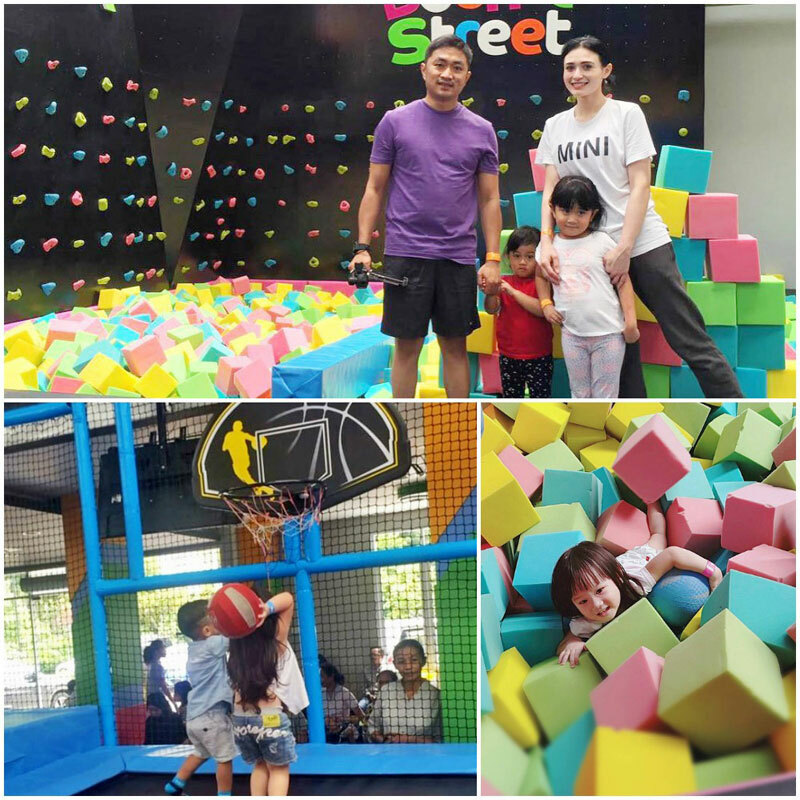 Bounce Street Asia has many arenas (including those suitable for toddlers) that realize your kids’ childhood desire of becoming Superman. And guess what’s the best thing? You and your family get to move your body, exercise and have fun at the same time! The ‘Escape Game’, a game that puts you in the shoes of a detective, has been gaining popularity in recent years. In short, it’s a game that requires you and your family to solve a mystery together. You can find more than 10 venues and operators in town where you can play this game with your kids. 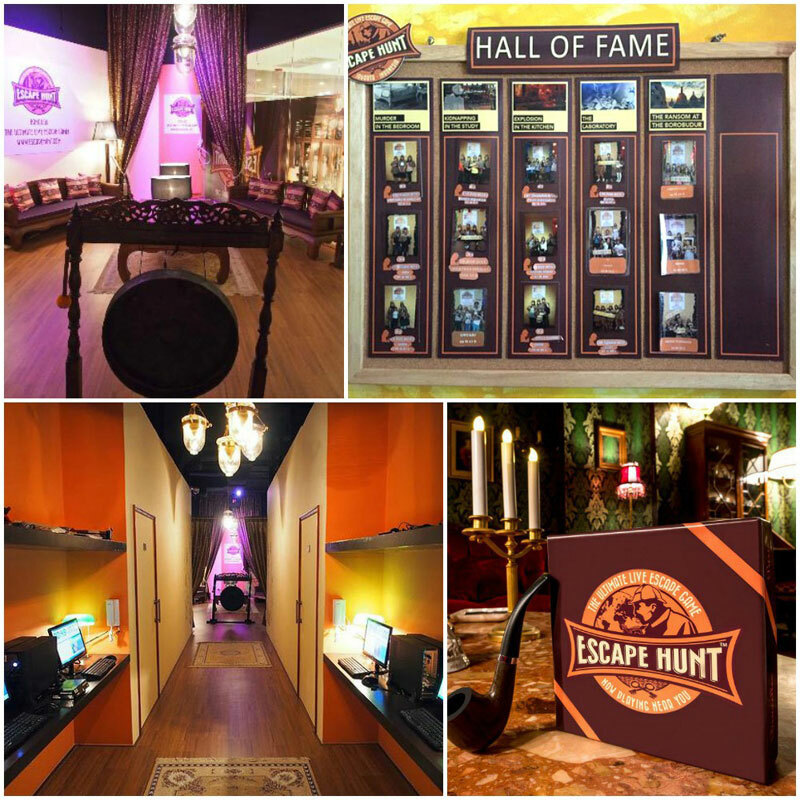 Escape Hunt is our personal recommendation as we have tried it once, and was thrilled by the experience. The theme of the game can vary. It can be about solving a murder or kidnap mystery, or simply finding a way to escape from a room (that’s why it’s called an ‘Escape Game’). You and your family will be locked in a room, and you have to solve a puzzle before you can proceed to the next challenge – which is likely another perplexing puzzle! If you find yourself running out of ideas or clues in the middle of the game, the staff will be there to help explain or to give clues. But don’t do this too often as it will ruin the fun! This is probably the most mind-challenging activity in this list. So if your kids are the big fans of Detective Conan or Sherlock Holmes, they would love to play this! 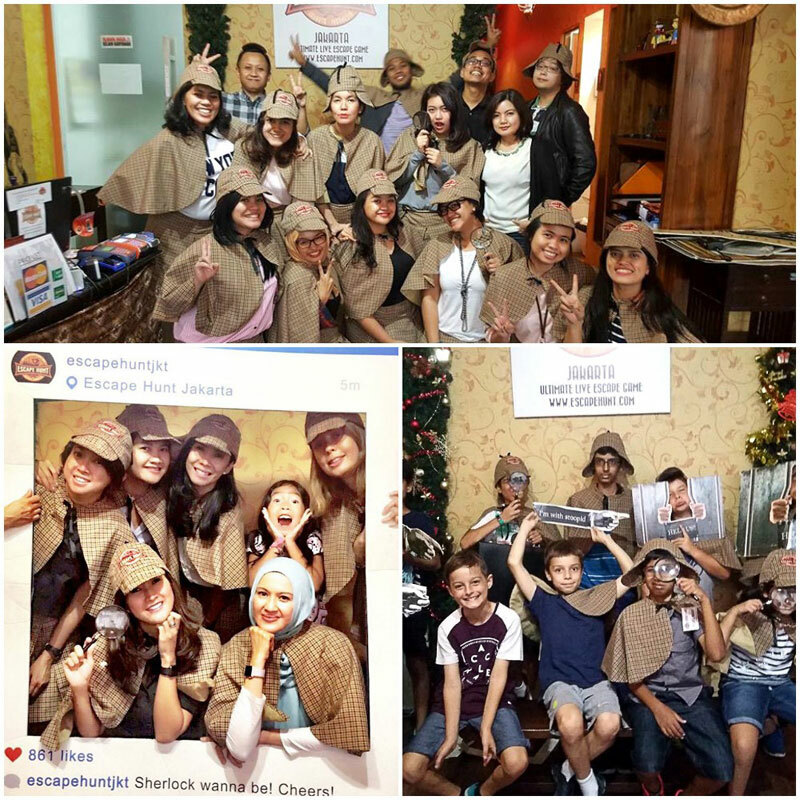 One fun perk – at the end of the game, Escape Hunt even provides some detective costumes, to make your family experience even more memorable. 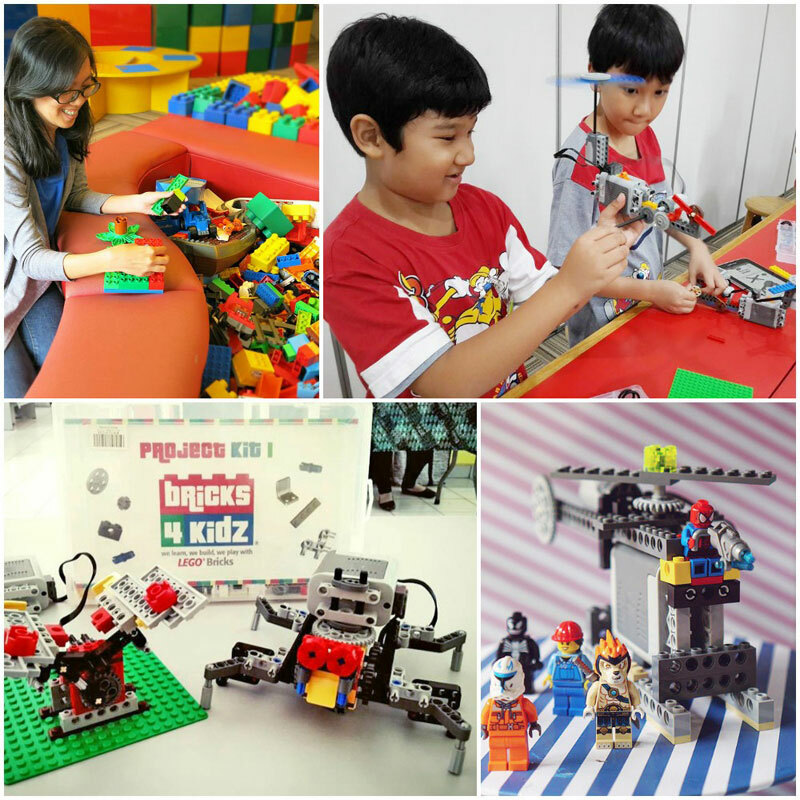 If you’re looking for a fun activity to do with your kids, where they can develop their creativity at the same time, Bricks4Kidz is the perfect choice. 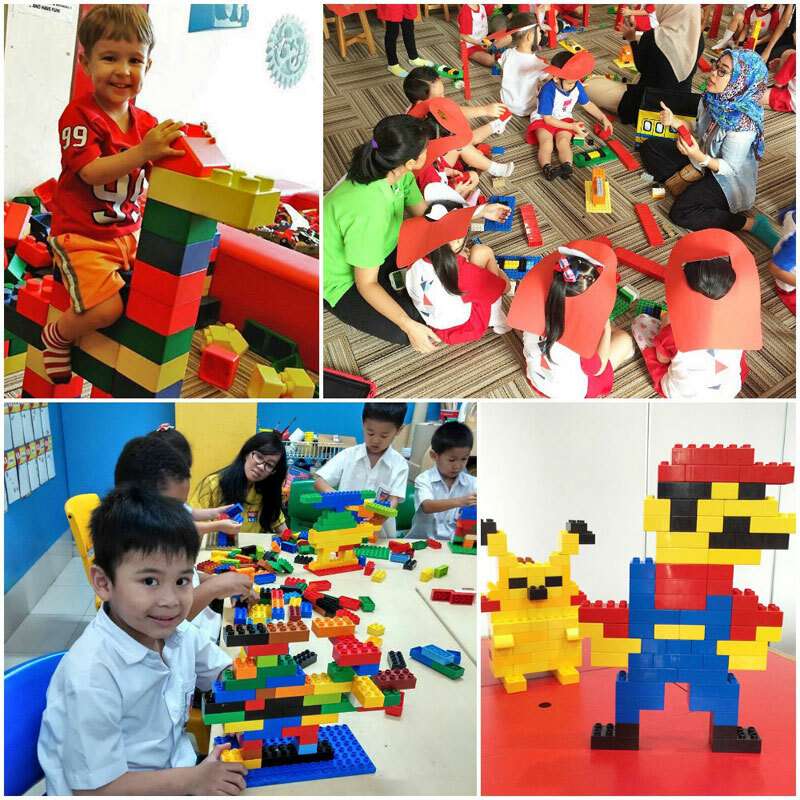 It allows your kids to play and build anything they can imagine using LEGO bricks. Watch your kids’ creativity soar as they build exciting spaceships, cars, cities, animals, and even structures that are abstract yet creative. You’ll be surprised at how imaginative your kids can be! Bricks4Kidz offers various programs, from Pre-school Classes to After School Classes. No matter how old they are, Bricks4Kidz would have a suitable program for them. 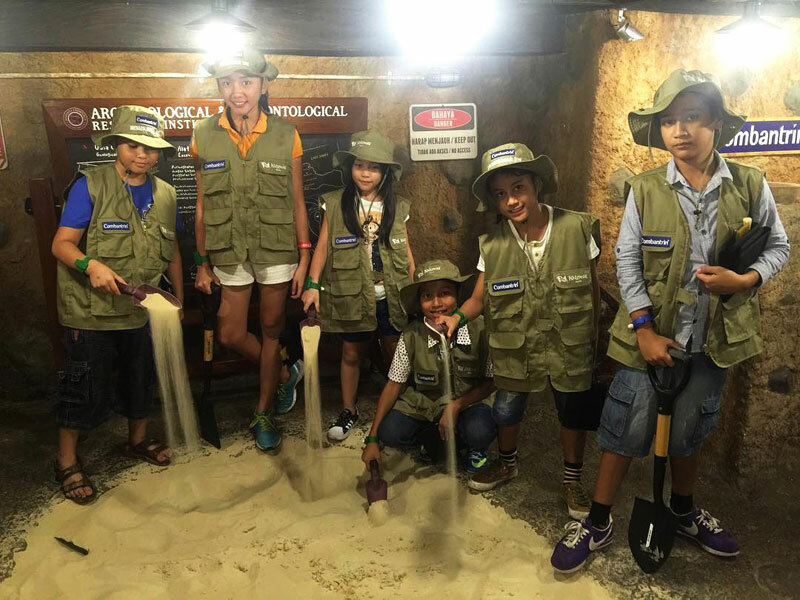 For special occasions such as school holidays or the New Year, there may be some special programs as well. Bricks4Kidz enhances many positive aspects of your kids’ development, such as logic, critical thinking, problem solving, creativity, social skills, and so on. And the best thing is, they get to develop these through fun. 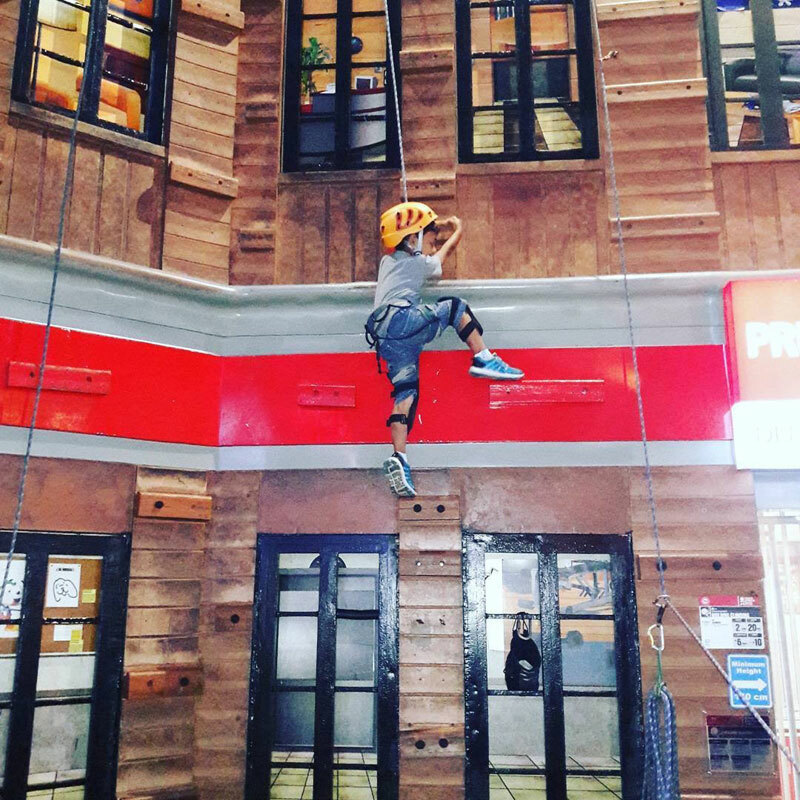 It’s a grim fact that although Jakarta has so many skyscrapers, it only has a few outdoor recreation options for children (though thankfully it’s significantly improving in the last 2 to 3 years). As a response to this issue, then The Playground in Kemang was developed to provide more outdoor spaces for kids and families. The Playground is an outdoor Western-style playground in a quiet suburban setting. It is equipped with 10 different play apparatus, interactive wet play area with water slides and sprinklers, a biking and rollerblading path, basketball hoops for kids, tennis ground, dining areas, and even a 25-meter flying fox! The mission of The Playground is quite critical (and sarcastic in some way) for modern families – to get children playing outdoors and away from electronic devices. And that’s what this place really does. Children are running and playing, instead of sitting around and staring at their gadgets. Another piece of good news – parents can accompany their kids, free of charge. 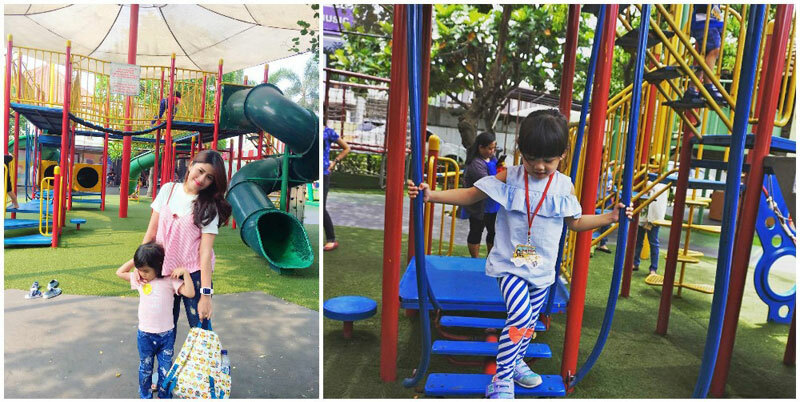 Well, if you’re a Jakarta resident and thinking about visiting this playground regularly, you can consider getting an annual or monthly pass too. We hope this article will change your mind about Jakarta when you’re visiting next time. Don’t just bring your laptop and suitcase, but bring your family along too! 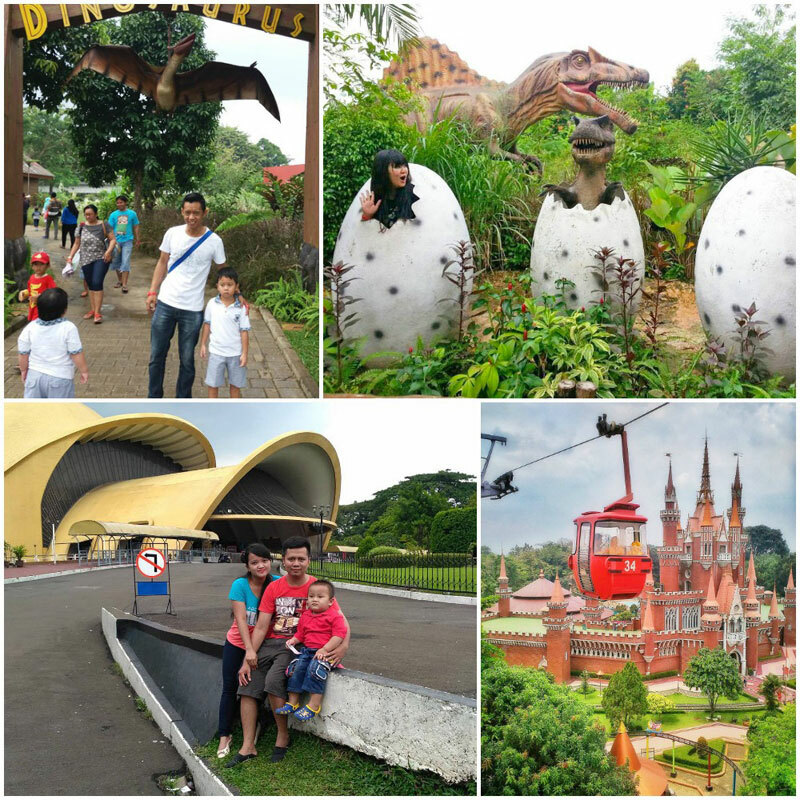 Do you have any other ideas on how to spend family time in Jakarta? Let us know through the comments below!